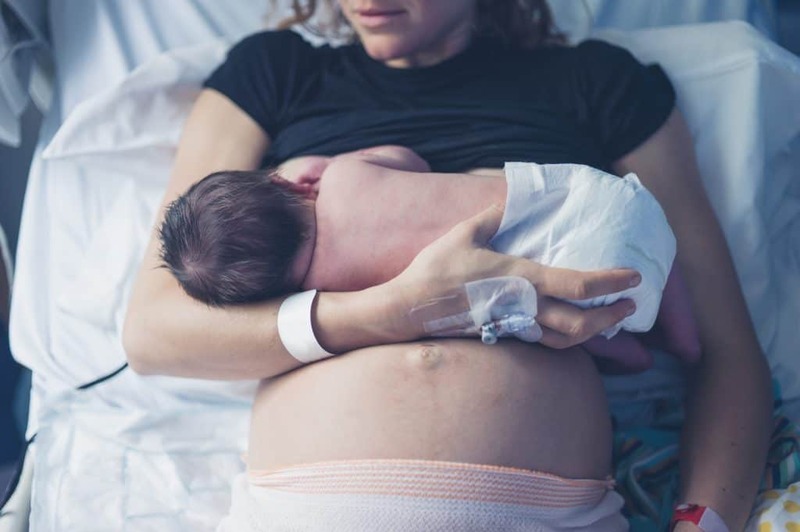 Natural childbirth is like one of those mystical things that you hear in stories, or at least that’s what it feels like. 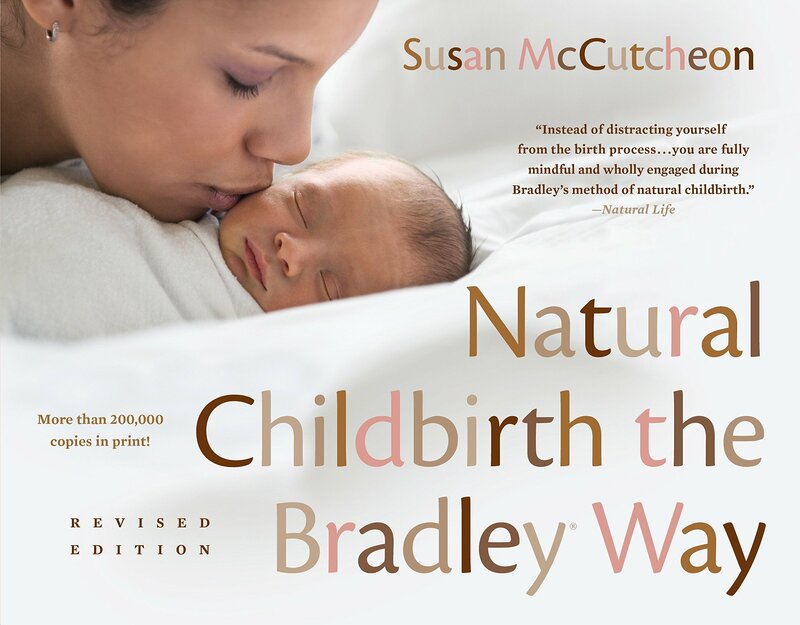 The first time I went into labor I thought having a natural childbirth would be a breeze. My first delivery started with my water breaking. Then nothing. No contractions, no pain, no dilation. Eventually my doctor had to give me pitocin, and man did everything fast happen then. After a few hours of screaming, I got to an 8 and the nurse said those fateful words, again. “Are you sure you don’t want an epidural honey you still have to push.” She was really sweet. 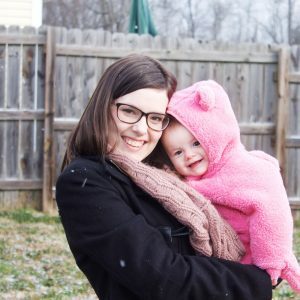 I ended up getting the epidural and having my daughter. Everything was fine, but I learned then I had not prepared at all for the birth that I wanted. Sure I read a few articles, but that was not enough to prepare for the mountain that is birth. For my next child, I was ready. It was crazy, but I have to say it was less painful and much better recovery than my first labor. After my natural childbirth I was up and walking no issue up and down the halls three hours later. That is far from the case with my first labor with an epidural. After my epidural I took a good day or two to be up and moving again, and I had pain in my back from the needle for months after. Even years later I still have pain there from time to time. 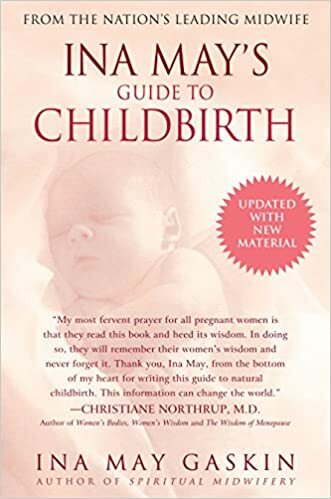 Now that you know my background, here are some really great tips and resources that will make your natural childbirth WAY easier. Knowledge is power when it comes to many things, but this is especially true when it comes to natural birth (or birth in general really). Empower yourself with the knowledge of how to get through the labor pains and rollercoaster that is having a baby! You can look for classes in your area, or there is an excellent, super affordable, class online called Birth it Up! This natural birth class is from a Labor and Delivery Nurse who really knows her stuff. She takes you through 30+ lessons on everything you’ll need to know about delivery. 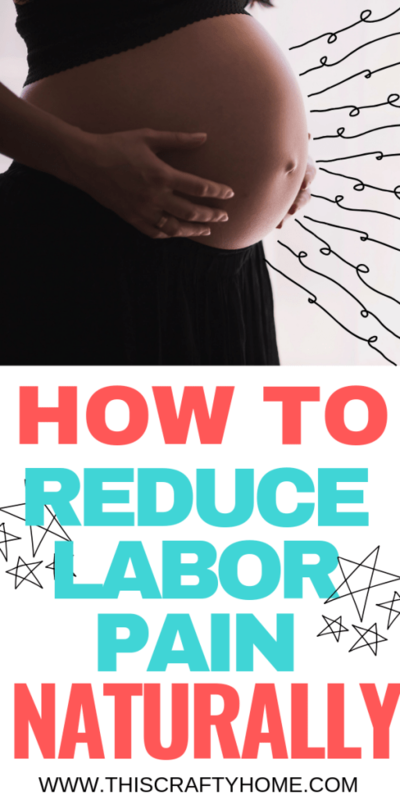 Including techniques on how to get through the pain of labor. She also includes everything about things like epidurals and c-sections so you are well informed on every possibility. I WISH I had a class like this with my first child. I actually searched and had no luck finding one, it would have been a total game changer. When you go into a hospital despite your best efforts you are going to be at the will of the nurses and staff there. Don’t get me wrong, they are great! But here is the thing, during early labor and even some active labor you don’t have to be in the hospital. You can stay home and do whatever makes you feel more comfortable for as long as possible. When you get to the hospital you are going to be hooked up to machines, and it will be much harder to move around and help get through those pains. HOWEVER. Listen to your body. If you think you need to go in because things are getting crazy fast, do it! I was only in labor for 3 hours with my second child. I only made it to the hospital an hour and a half before we had him. If I had waited longer at home I just might’ve had him in my living room. Find something, anything that you do during each contraction that keeps you clam and focused. This is a big point I missed with my first child, I screamed. I just screamed through the whole thing. With my second I slowly inhaled through my nose and exhaled through my mouth and sang the ABC’s in my head. Yeah, the ABC’s. I had a toddler at the time, so it was the first thing that popped into my head. I would breath, sing the ABC’s, and find things in the room to focus on. Most of the time that would end up being a random sign in the room. There are a ton of options here for you, figure out what you think will work best and run with it! Above all you need to breath. A great thing to focus on is your new little one to put things in perspective, I’ve heard of women putting an ultrasound picture in view so they could focus on their baby while breathing. Not a class taker? There are a couple books that I would recommend to help you in your search. I’m going to tell you upfront though these books do not replace the Birth it up class in any way. It has WAY more info, but I know some people prefer to just read through info! A birthing ball can make labor so much more comfortable than laying on a bed or standing during labor. This is especially a good tool if you are experiencing back labor! This post goes through some great positions to try with your birthing ball to help relieve the pressure and pain of labor. Check with your hospital before hand to see if they have birthing balls. The hospital we gave birth at only had 4 birthing balls for the entire labor wing. If you want to make sure you have one, you can buy your own. Some women have also seen great benefits of using these during pregnancy and postpartum as well! Check out some well priced birthing balls here. If possible, staying up and moving and trying difference positions during labor can help incredibly. Laying on your back through contractions may be how you see it done in the movies but you do not have to do it that way. Guess what, you don’t even have to have an IV unless you end up getting an epidural or need other meds through one. The only reason they hook you up to an IV when you get there is to keep you hydrated. Do as much as you can to keep yourself able to move during your labor, you will thank yourself later! A Doula is an incredible resource for families who can afford it! A doula is a trained professional who assists a mom through pregnancy, labor, and some postpartum. They support you emotionally, and they give you all the information you need to make informed choices. When you are in the middle of giving birth, a lot of times all you can think about is the pain you are in. You can’t think quite logically about decisions. If I had had a doula with my first birth I am confident that I would have had a natural birth like I wanted. But instead I gave into the fear I was feeling from the hospital staff. They were just trying to help, but emphasizing the fact that I still had a lot more to go instead of being encouraging went a long way with me. Thinking back to that all I can be is offended. Then I laughed. But now I think, you called me crazy in the middle of an emotional experience instead of respecting what I had told you I wanted when I walked in the door. A Doula will support you and be your advocate when you can’t do it for yourself. Notice I said the FLEXIBLE. Here’s the thing about birth. It doesn’t always end up the way you planned it. You absolutely should enforce that you want a natural birth and have ideas on what will help get you there. But sometimes life will throw you a curve ball. I didn’t want to be monitored constantly during either of my births so I could move around. That didn’t happen both times, for real medical reasons. I wanted to go into labor naturally, but after hours of waiting with no progress I had to have pitocin with my first. Know that you will have to roll with the punches and your plan may not pan out exactly how you wanted. Otherwise, you are going to be disappointed and stressed. Just know sometimes there is nothing you can do about circumstances, and that is ok! Tennis balls can provide some much needed counter pressure to back labor during contractions. This is something you can absolutely do yourself, or get a partner to help you with! Make sure to keep in mind that the contractions are only temporary. You only have to make it 1 minute. Just one! Then you take on the next minutes as they come. Measure time in small increments and keep reminding yourself that you can absolutely do it for thirty more seconds, or even ten more seconds if you need to! Going through birth is a big event for both parents. Make sure to talk through your hopes for birth with your partner so that they are on board and can advocate for you as well. It’s even better if they are just as informed as you are on the natural birth process. I know sometimes they may not be as interested in all the details but having a partner there that is informed can make all the difference! This is quite possibly one of the most important things in this whole post. Be confident in your ability to have this baby the way YOU want. Now having knowledge like the Birth it Up class will help you achieve this. But you also have to just simply believe in yourself. Now in the moment through the pain this can be hard. Very hard. Using affirmations can really help you create that confidence within yourself. I am strong enough to do this. I grew this baby, I can birth this baby. Each pain brings me closer to meeting my baby, I can do this. This pain is powerful, but I am more powerful. You absolutely CAN give birth naturally, it is all about giving yourself the right tools to get there. Leave a comment below with any questions you may have, and make sure to sign up for my free eBook to start getting ready for baby.